Maybe like me, all you ever knew about the fur industry in northern Minnesota is that it existed, long ago. 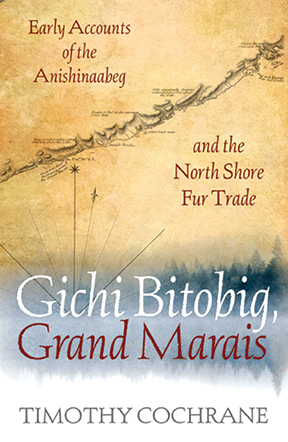 Timothy Cochrane’s “Gitchi Bitobig, Grand Marais: Early Accounts of the Anishinaabeg and the North Shore Fur Trade” fills in many of the historical blanks from that time. “Gitchi Bitobig,” nominated for a 2019 Minnesota Book Award (winners to be announced on April 6), is based primarily on two journals kept by American Fur Company clerks, Bela Chapman and George Johnston who wrote between 1823 and 1825. The excerpts show the long relationships between the Anishinaabeg and the non-Indian company employees. “The story here is of two very different groups purposefully colliding, sometimes cooperating, and in the midst of this oftentimes misunderstanding one another,” Cochrane wrote. In short, the North Shore was a hub of animal trapping and trade that had an international impact on the clothing industry, while creating great wealth for a very few and hardship for many. Starvation among company employees and Native traders was common. Non-Indians experienced intense loneliness, anxiety and fear. Occasionally some good came of that era. Cochrane described one Indian band that fared well during the fur trade decades thanks to its wise Indian leader. However, many Indians became addicted to the alcohol distributed by whites and used as a trading tool. Additionally, no matter who you were, severe winter cold, blinding blizzards and snowfall wore everyone down. Missing, as usual, is the voice of the Anishinaabeg who no one thought to interview back then for their perspective on the ever-arriving visitors and their impact on the land and way of life. Indian women were present, but even more invisible than Indian men in the written record. In fact, women barely existed at all in historical records, although various written accounts show the political importance of intermarriage with employees of the Hudson’s Bay Co. (HBC). Traders who married into respected Indian families gained an advantage in the collection of hides and other goods, and undoubtedly an advantage with mere survival on the harsh North Shore. The trading post at Grand Marais was called “Fort Misery” and “Siberia” by the clerks. Strong winds hampered the collection of fish by net, deep snow affected navigation, severe cold took its toll as well as a lack of other resources. For example, good soil for planting was only available south at Fond du Lac where wheat, corn, squash and potatoes grew. On the far North Shore, fewer trees were available for building construction and on one occasion, the Grand Marais buildings were burned down by a competing fur company. The book lists many instances of severe canoe and building damage and the loss of supplies due to the elements. One well-known and respected Anishinaabeg leader, known as Espagnol, earned a stellar reputation with his people and with the traders. Born at Grand Portage, Espagnol had the “air of a Prince,” a remarkable memory and intellect, and superb oratory and trapping skill. 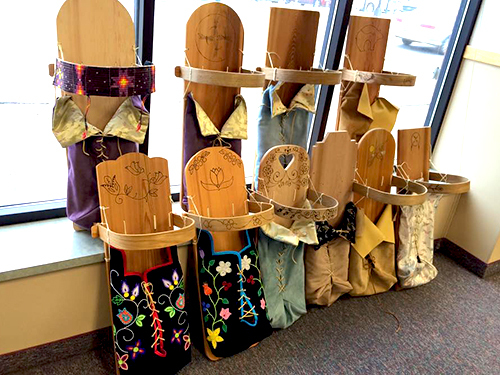 As a boy at Grand Portage, he grew up observing fur traders. As an adult, he sought to understand traders and the other whites he met and ultimately learned to negotiate with them in ways that benefited his band. If a price seemed unfair, he would remind the clerk that he had other trade options, as well. Cochrane wrote, “(Espagnol) kept the HBC guessing where he was and how well he was doing, and sought to preserve his trading options at Fort Williams and Grand Marais by being unfindable.” Espagnol simply disappeared when it was most advantageous, watching and applying what he knew in order to obtain the best price possible for himself and band members. The journals are reprinted in their entirety and include numerous references to harsh weather, buildings in worse condition than “hog pens,” “Brutes.” “Ignorant Canadians,” and Natives, who were chiefly “murderers, Robbers and thieves.” Johnston bemoans the impossibility of making a profit, and that he had never felt so lonesome in his life as he did at Grand Marais. About the only good day in two years occurred on New Year’s Day, when visiting and hospitality took place. After all of that, you might think the story is too much of a downer to bother with. Who needs to read about old-time bigotry, name-calling, violence and suffering? For me, the book showed the steep price for arrogance. It showed among non-Indians the unscrupulous efforts to create monopolies and destroy competition. Fur trading was no quiet chapter in Minnesota history, contrary to what most of us learned in school. If you want more of the full history of Minnesota, read this book. 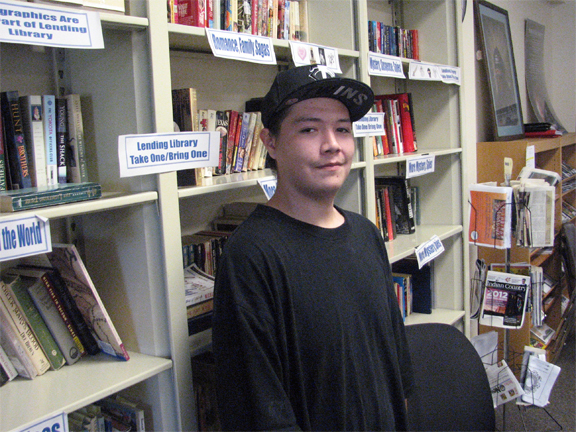 Tim Cochrane lives near Grand Marais. For 20 years, he served as superintendent of the Grand Portage National Monument co-managing the site with the Grand Portage Anishinaabeg through a tribal self-governance act agreement.